This video is from the PBS series, Nature. The clip is from part II of the two-part episode, “Dogs that Changed the World”. 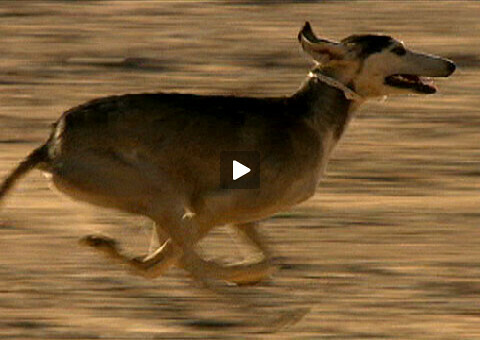 It shows desert bred saluki being coursed by Bedou in Jordan. There’s also a cool computer-generated sequence of the dog running with it’s skin off so it is a running skeleton.